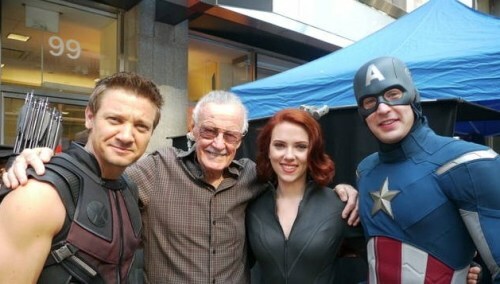 I read on Tumblr that Scarlet went up to Stan and asked him to take a picture with the three of them were in their costumes.. Damn, this is a cool pic. Seeing Stan Lee that happy and stoked to be there watching characters that he wrote come to life in such an awesome way. Yup. The wait until Avengers 2 is gonna seem like 25 lifetimes.